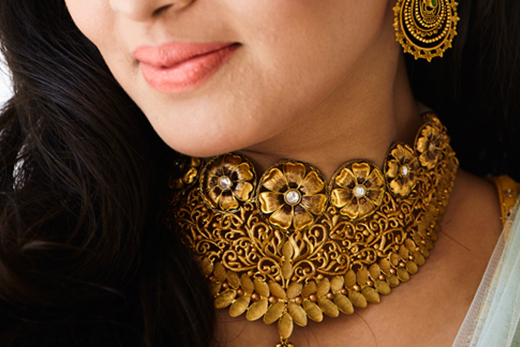 Bold hues of yellowpaired with impeccable finesse of Azva handcrafted gold choker with seven flowers for the seven vows. 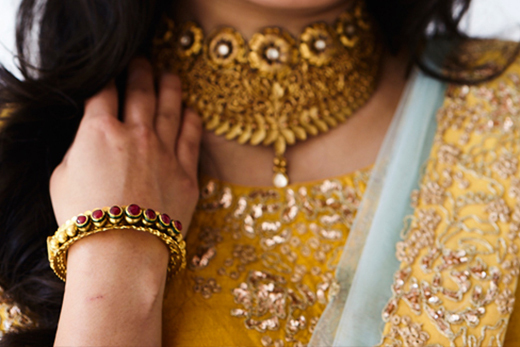 Contemporary bride to be, Sharvari is given quite the makeover by Wedding Sutra as they mix fresh green, bright yellows and the opulence of gold jewellery by Azva. 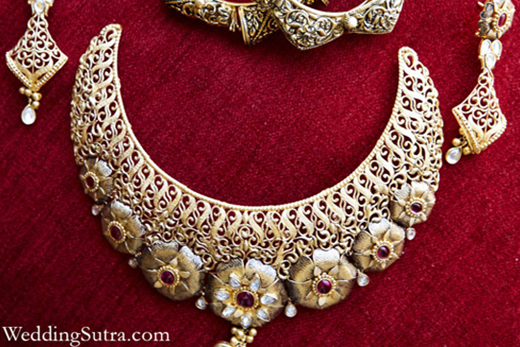 The bride is given a maangtikka and matching earrings adorned by a bright vista of kundan set stones. Her face framed by layers and curls and the drama of the winged eye liner creates this modern day bridal look. 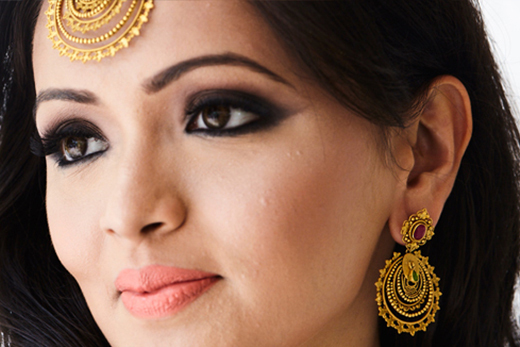 Elegant bangles and a gold ring to covet jazzes her up further as she steps into this glamorous bridal avatar.